Provides banking services, located in Clarkesville, Georgia. Provides web design and photographic services, information on weddings, commercial advertising, restoration, and sample photos, located in Clarkesville, Georgia. Provides daylillies, information includes online catalog and directions, located in Clarkesville, Georgia. Produces and sells honey and honeybee wax from the north Georgia mountains. Specializes in Sourwood honey. Clarkesville, Georgia. Camp for young women, provides information on sports, canoeing, swimming, creative and performing arts, both English and western horseback riding instruction, hiking, backpacking, and environmental education opportunities, located in Clarkesville. Camp for young women, provides information on sports, canoeing, swimming, creative and performing arts, both English and western horseback riding instruction, hiking, backpacking, and environmental education opportunities, located in Clarkesville, Georgia. SiteBook Clarkesville City Portrait of Clarkesville in Georgia. 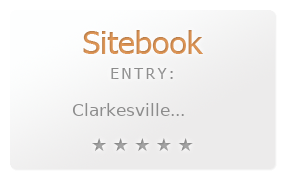 This Topic site Clarkesville got a rating of 3 SiteBook.org Points according to the views of this profile site.